Masks like the one worn above provided little in the way of protection. This song concerned the influenza pandemic, known then as the "Spanish Flu" or "La Grippe," which spread throughout the world causing widespread disaster. 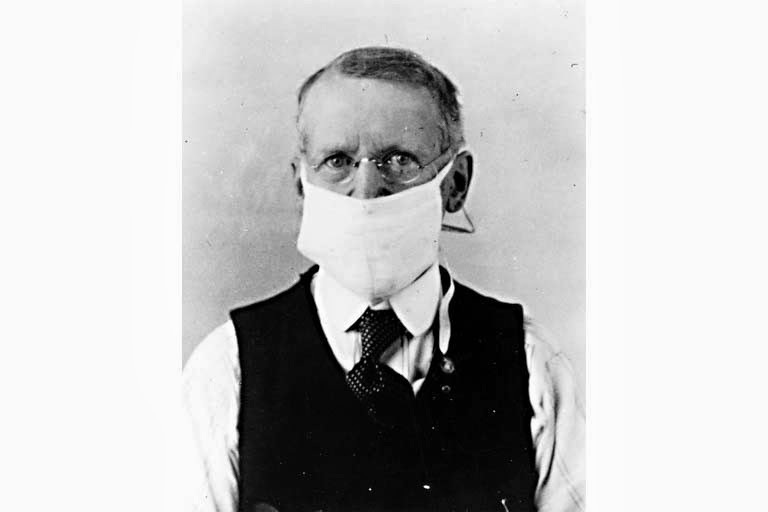 According to a report by the Center for Disease Control and Prevention, the flu infected 50 million people from the years spanning 1818 to 1919, leaving a wake of illness. The eruption proved greater than any recorded global virus before or since its outbreak. Some historians have traced the origins of the influenza and controversially argue that there was a dramatic increased of European influenza and pneumonia casualties during World War I in 1915-1917 that may have been related to the eventual rise of the pandemic. At that time, doctors reported focused outbreaks of similar viruses in English and French military camps. Some scholars forward debatable assertions that the pandemic spreading influenced the outcome of the war. Those arguments aside, its thought that in the Spring of 1918 the influenza emerged from avian sources which most likely brewed for years before spreading throughout the world. Short Nova documentary about the pandemic called "Reviving the Virus." 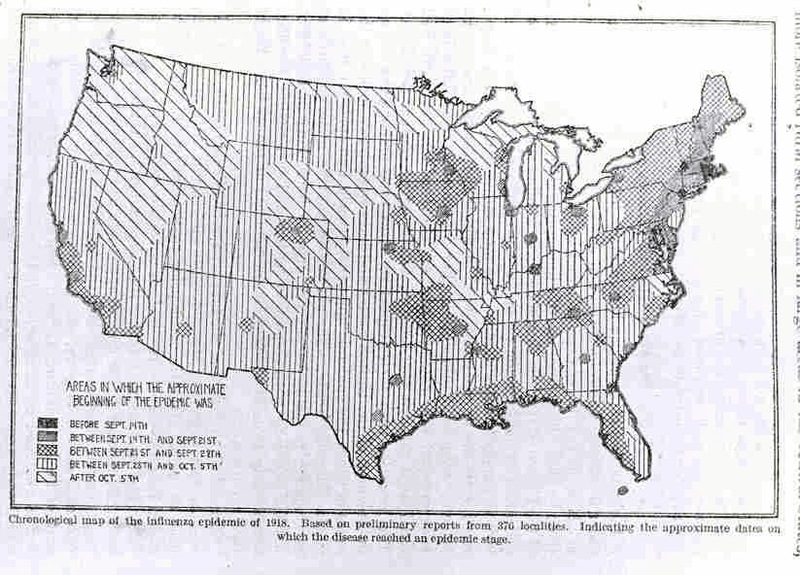 Below: Map charts the chronology of the virus's spread across the contiguous part of the nation in 1918. The flu became global by following shipping routes with its human carriers. It traveled to and from Europe, Asia, the Americas, Africa, and the Pacific Islands in this manner. The sickness came in three developments due to constant mutation and thus would sweep across areas in multiple waves at times even folding back towards the direction where it came originally. A mutation in the virus could cause it to infect an area a second or third time. 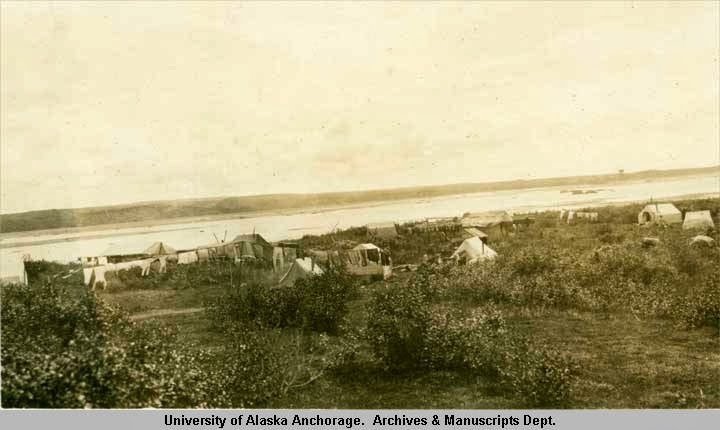 The then Territory of Alaska prepared for the virus by placing ports on quarantine. In attempts to ensure safety Marshals patrolled trails heads and mouths of rivers checking travelers for signs of the flu.The major towns Juneau and Fairbanks developed public health procedures in an attempt to keep residents healthy. The government reports that in Nome when the virus arrived during the late fall of 1918 half of the Native population of Nome passed on. Moreover, 72 of the 80 residents of Teller, Alaska died from November 15 to November 20th, 1918. 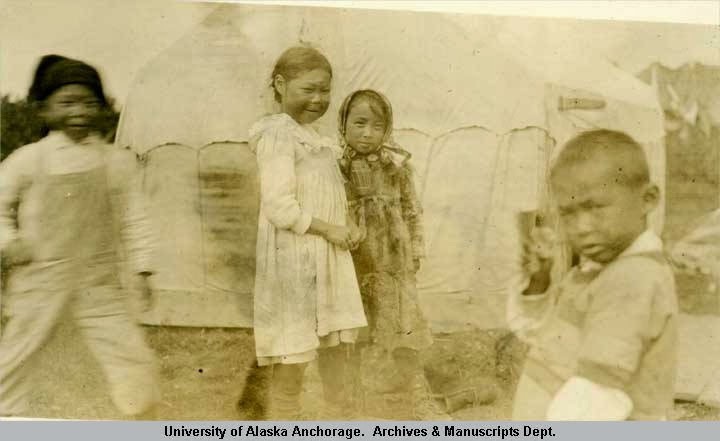 Its hard to pinpoint how many people in Alaska succumbed to the virus because villages and towns were too remote for the purposes of census taking at the time. The effects on villages were twofold in that people died directly from the virus and when they did survivors left in the villages were without assistance to keep up subsistence economies that could feed the communities. Thus, entire villages starved and children were brought into makeshifts hospital camps.Villagers were leery of these hospitals and most refused to go. It's reported that they saw them as "Death Houses." In the result of this conflict between Native people and the government a bargain was struck to allow them to stay in their homes. Decades later in 1997, villagers allowed researchers to take tissue samples from the remains of those who didn't survive the ordeal. 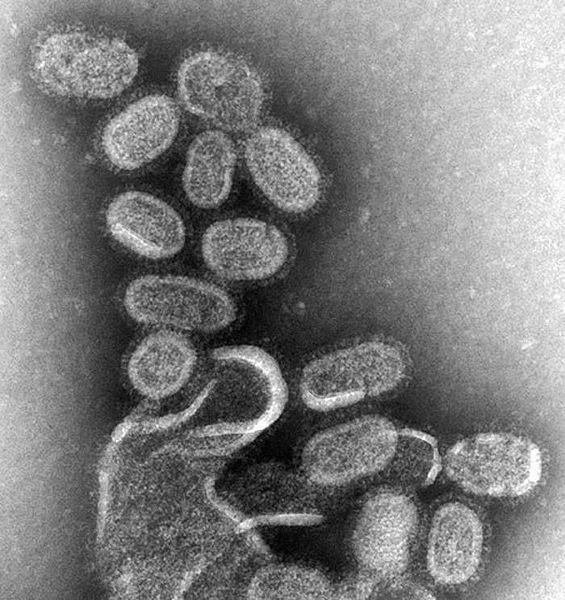 Since the tissue was frozen the flu was still contained within it and allowed scientists learn more about virus and perhaps help keep the public safe in the future if outbreaks like this occurred again. 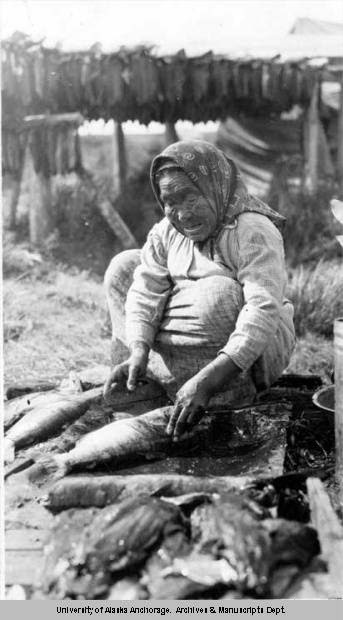 In the summer of 2006 I went home for a Tangirnaq Native Village tribal retreat on Woody Island, just about a mile away from the town of Kodiak. One of the purposes of the getaway was to commemorate the Woody Island villagers who passed on due to the influenza pandemic. A substantial portion of the village, I believe 25-30 percent, suffered loss of life within a just a day or two of the virus hitting the island. Sometime before the retreat the burial grounds of the flu's casualties were located and on a beautiful summer day we gathered there to bless them and give them our thoughts. A very moving experience for me. Area on island where the graves were found. 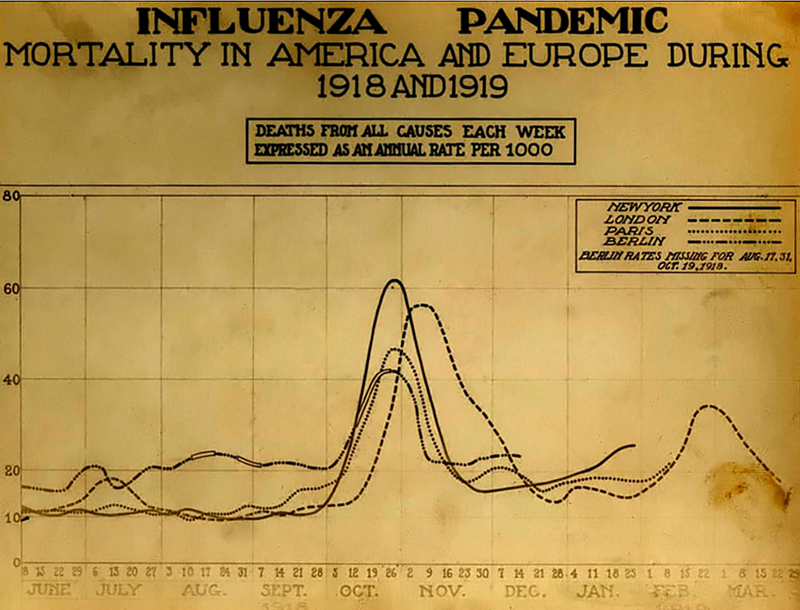 "World War I may have allowed the emergence of “Spanish” influenza"